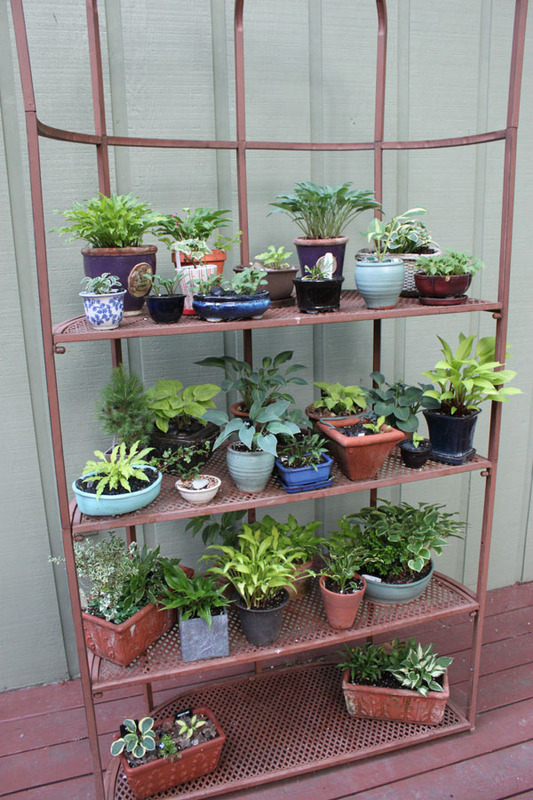 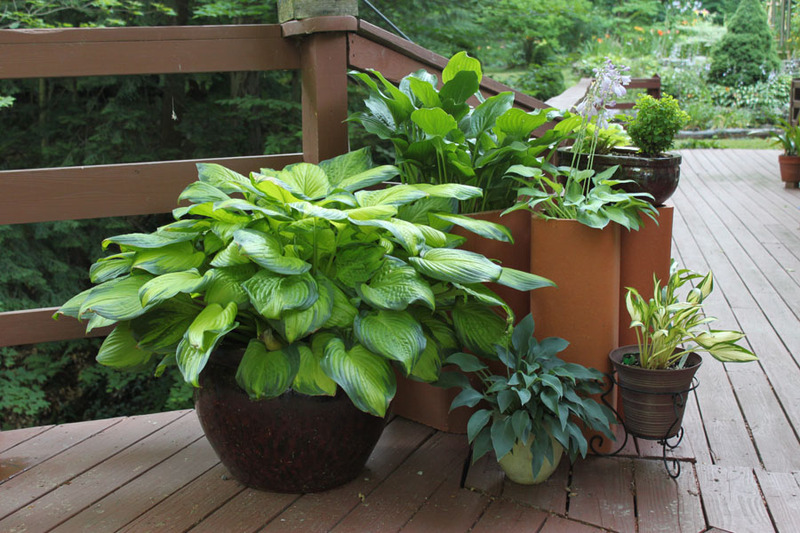 Kathy has always collected unusual objects that can be used as planters and containers. 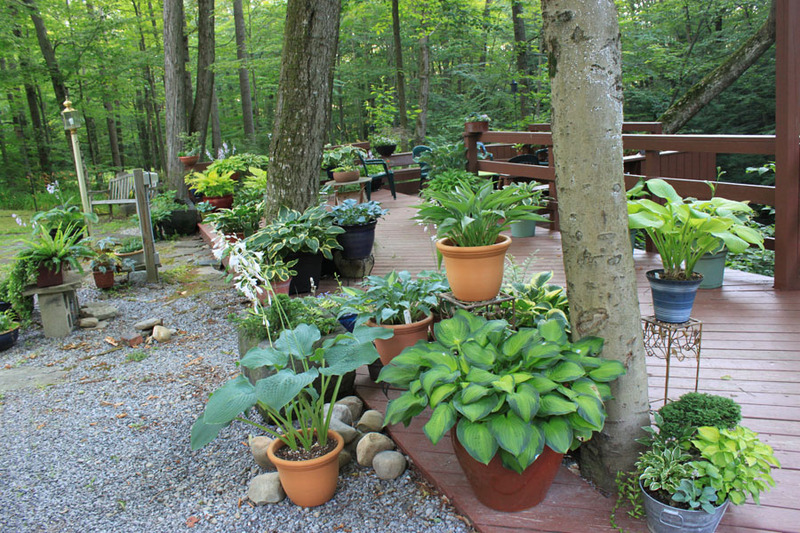 When we moved to the property in 2005 and transferred many of the perennials from Kathy's previous garden the ground here was not ready to accommodate all of them, and so they were containerized. 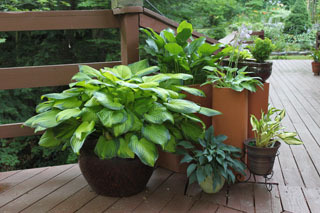 A few of these large hostas are still in big pots. In recent years we have been experimenting by planting various containers with annuals, bulbs, hostas and other perennials. 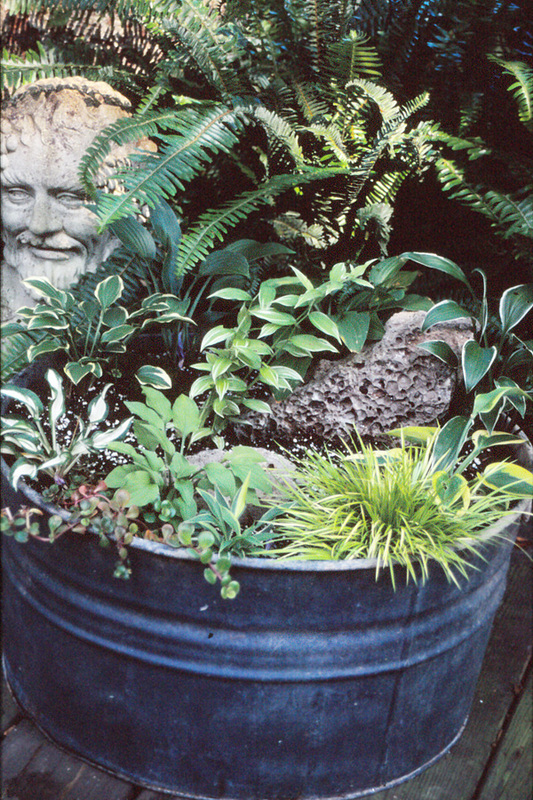 Dotted around the property you will see found objects such as washtubs, buckets and pans, as well as the more familiar, troughs, trays and large pots. Part of our collection of miniature hostas is planted in a series of bonsai trays. 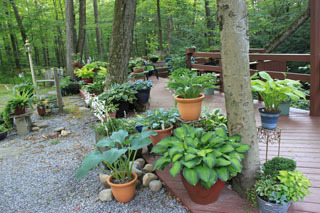 On one occasion we had 100 containerized hosta on our deck in a space fifteen feet by ten feet. In 2010 we began experimenting with window boxes and making deck boxes. 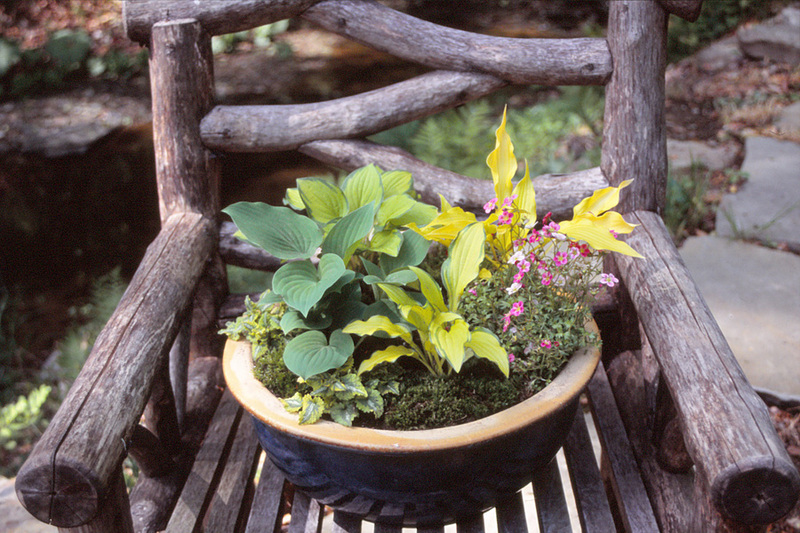 These are simple wooden containers several feet long but only six or seven inches high and wide. They are ideal for placing next to the deck rail where that take up little room but fill an otherwise empty space. 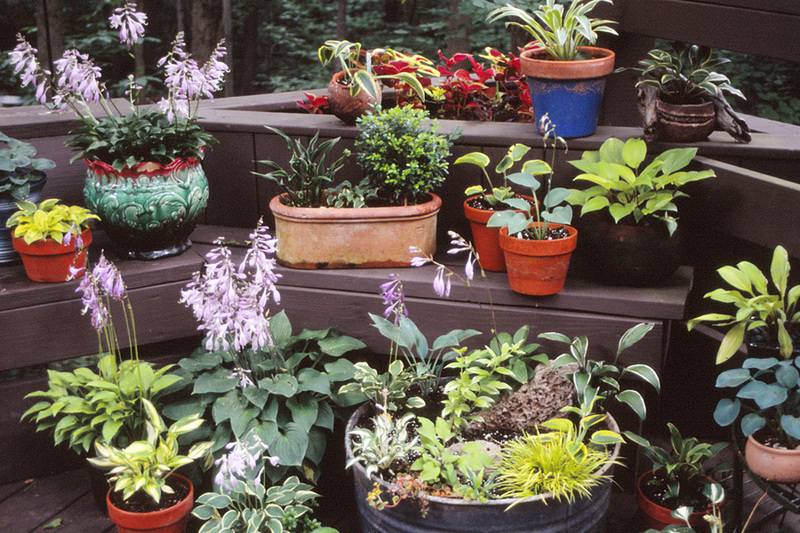 We have planted them with small hostas and companion plants such as pansies and heucheras.